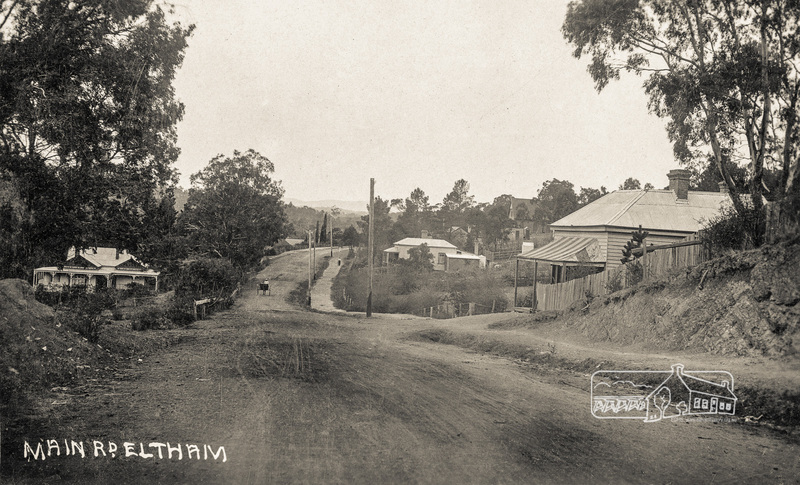 Shire of Eltham Pioneers Photograph collection | Eltham District Historical Society Inc.
For our next excursion on Saturday 2nd March 2019 we will spend some time revisiting Research. 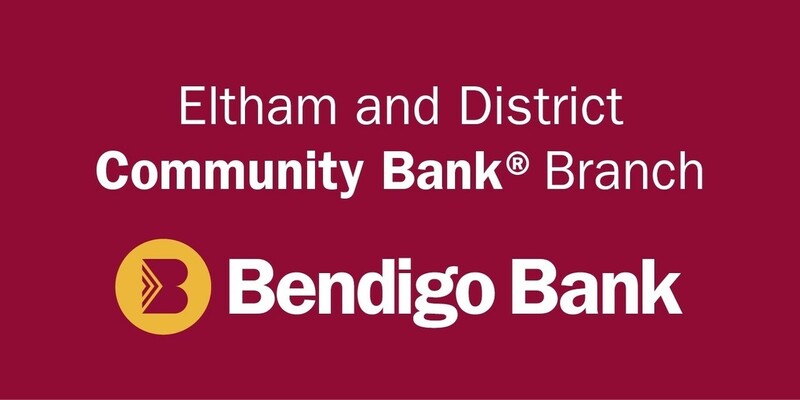 It is well steeped in the history of the former Shire of Eltham and is an area that has experienced many changes over the years. Many of the older buildings no longer exist. We will meet at 2.00pm at the Research Shopping Centre in Main Road (Melway ref 22 G2). The planned walk is about 3.5 km in length and will take about 2 hours, but can be shortened in the event of hot weather. Commentary will reference Andrew Lemon’s 1989 book ‘Return to Research’. 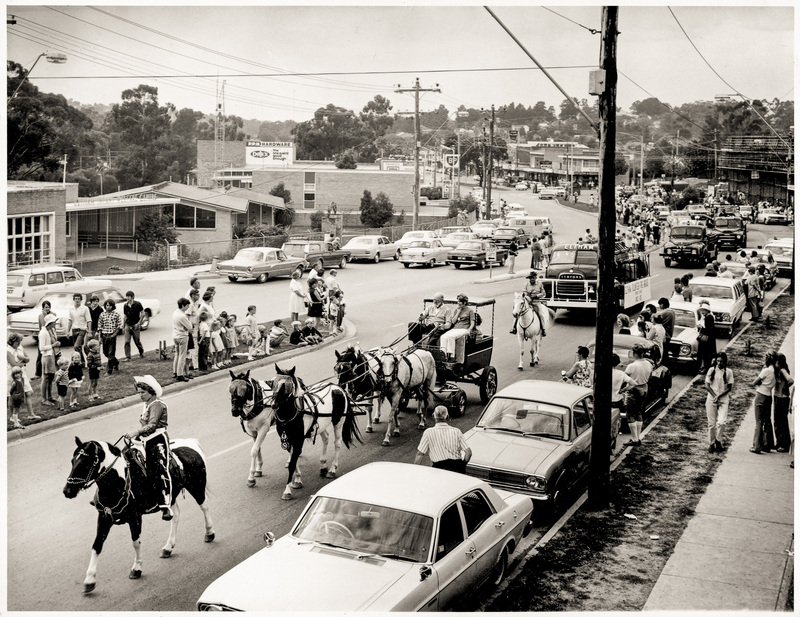 #ThrowbackThursday – We last featured Main Road between York and Henry streets at a point in time just after the road had been duplicated in 1968. Today we are traveling back in time to that same section but to shortly before duplication, circa 1965, and then another leap further back of about the same duration in time to the turn of the century. 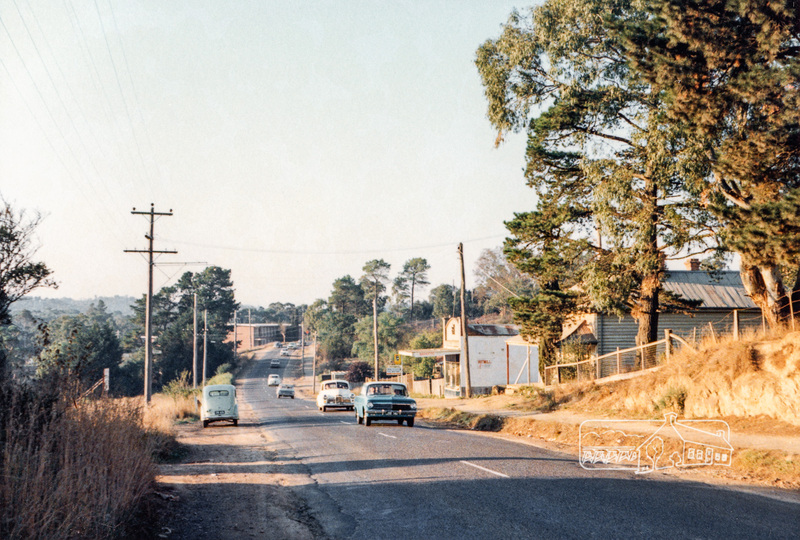 Main Road, Eltham, c.1965. Looking north from near Bridge Street. York Street on right. 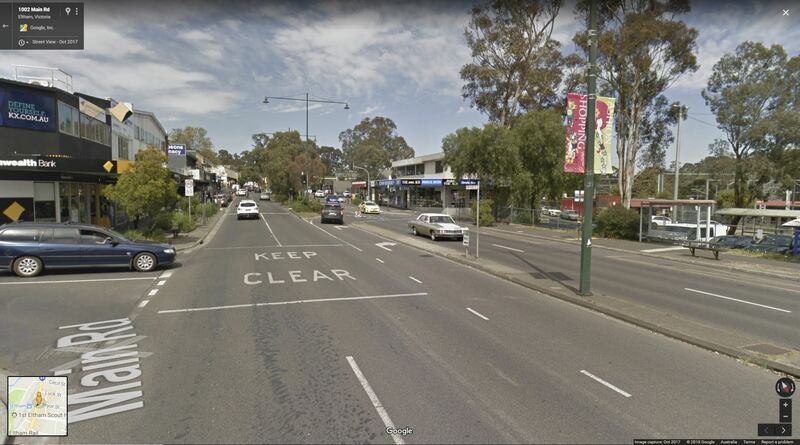 In the first image, circa 1965, we see the old Bakery standing on the the nearest side of the intersection of York Street and on the opposite side, the Eltham Feed Store, also previously featured in another ThrowbackThursday post. Just beyond the Feed store is A.R. Warren’s yard. 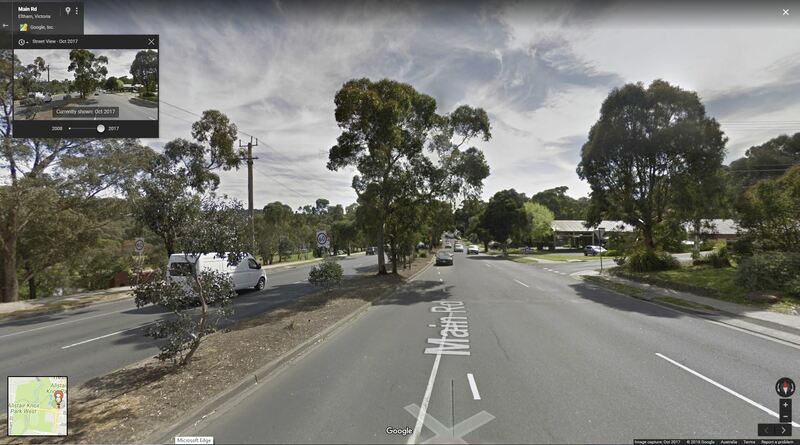 Looking to the distance, on the crest where Henry Street still crosses Main Road, we see the newly constructed Shire of Eltham Offices, which were opened in 1965 at 895 Main Road. Standing proudly in front of the Shire Office are the three Shillinglaw trees (Mediterranean Cypress trees) which were originally part of the Shillinglaw Cottage garden. They remain in place today and are well over 100 years old and of local heritage significance. These trees represent a navigational beacon in time for those interested in old images and the early landscape and history of this district. Travelling back another 55 years to circa 1910 we see the old Bakery again, though back then it was just the Bakery and not so old. And in the distance we see our navigation reference point, the Shillinglaw Trees though now they stand proudly within the garden of the Shillinglaw Cottage. 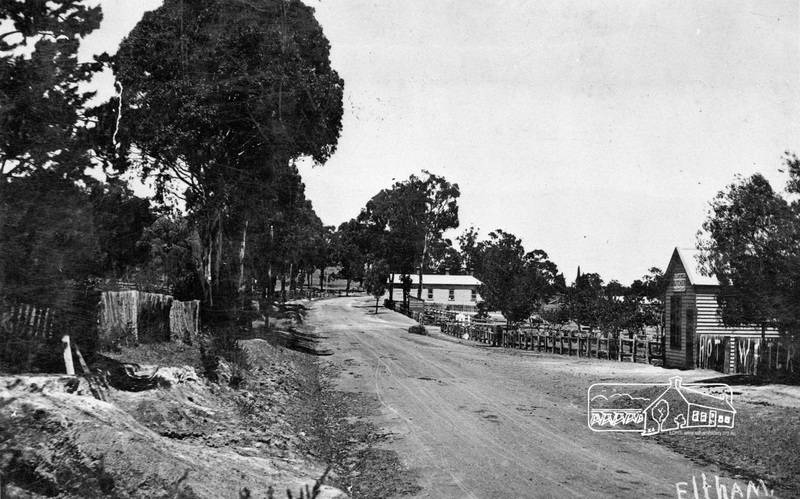 On the middle left of the photo is the Gahan House and it is to the left of this house that the Shillinglaw Cottage was relocated in 1964 when the Shire acquired the Shillinglaw site to build the new Shire Offices. 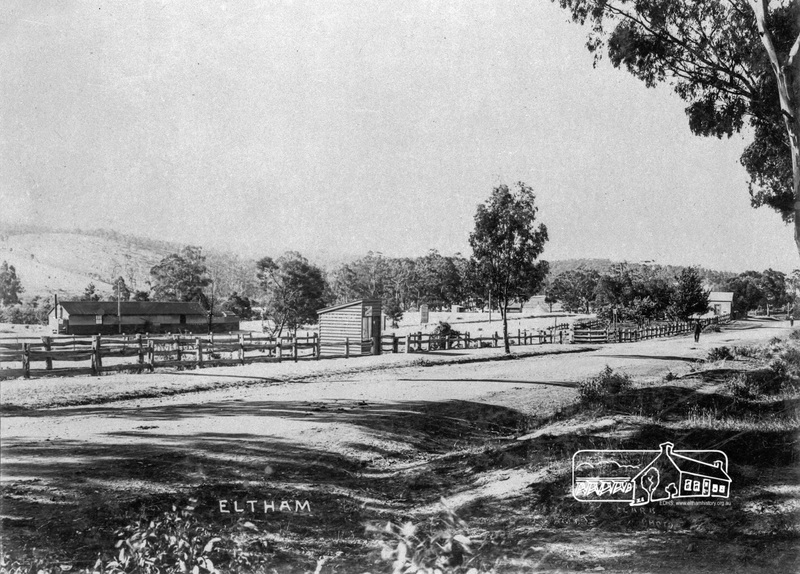 This photo, titled ‘Nearing the Station, Eltham’ is also about 1910; the landscape appearing much the same as the other. 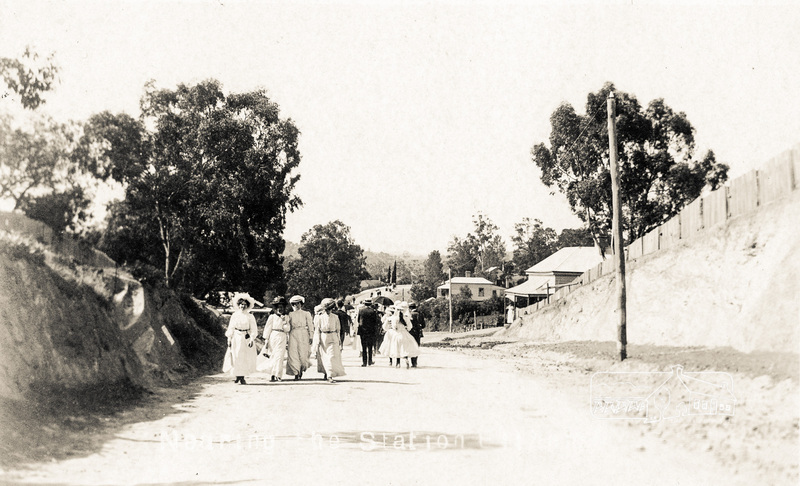 It most likely features a group of Sunday excursion visitors to Eltham out for a day of sightseeing who have traveled from Melbourne via train on the recently constructed railway line and station which was opened in 1902. Today, much has changed; the old Bakery is gone as has the Feed store. The Gahan House is gone, demolished shortly after Shillinglaw Cottage was relocated. Main Road has been duplicated and the newly constructed Shire Offices that took pride of place in the original Shillinglaw site have also gone, demolished by the Government appointed Commissioners in August 1996 following the re-amalgamation of councils in December 1994. 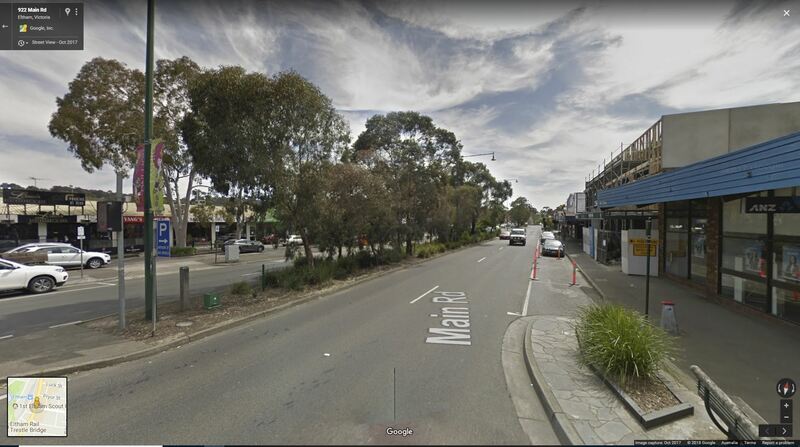 Even the original Shire of Eltham is gone. But the Shillinglaw Trees remain as a living connection to our shared history.